The general image of taking a transport from the airport to the next destination is to go from the airport in a bus or take a taxi. Now that may be the priority for many, but surely not for you if style, comfort and luxury are what you are always looking for. Also, for those who want to travel in a ride that leaves a lasting impression on people then without any doubt what you have to do is make a reservation with us and let us take you to places in Denver in a Limo. Yes, you heard it right, from the airport to all the places in Denver in a Limo. All you have to do is to make a reservation at Denver Airport Limousine. Now that is not a difficult task or something that may worry you. Even if it does, our helplines are available and our staff is always there to help you out with any kind of difficulties that you may be facing regarding the reservation process or any there possible thing. Hence, find our online form, fill it out, and provide us with your basic details and the time of your arrival the airport. Last but not the least, check our fleet out and let us know which Limo you would like to travel in with us. No matter which Limo it is, we are sure that you will find it in our fleet that we are so proud of! 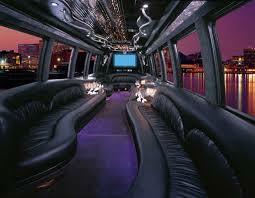 If you are a business executive and you are coming to Denver soon, we suggest that you should travel in a Limo. Your employees look up to you and there is a particular schema that they have formed about you and let’s stick to it by taking a Limo from Denver Airport Limousine Service and arriving at the office in it. if there is a business meeting and there is a possibility of more and more business executives to be there, then without any doubt you should arrive in that meeting in a Limo from 35 Limo Denver. We would love to be a part of making an impression on all the rest of your competitors and we would gladly do that for you. Coming on to the other side, if you are an employee who is making transportation arrangement for his/her boss to make them happy, then the right choice of car that you would make would be to get a Limo from Airport Limousines in Denver. We are sure that your boss will be very happy with you and the choice of your cars and your effort to arrange a Limo for them. That’s actually the thing about a Limo, you cannot help but fall in love with and the person who arranges it for you, cannot help but fall in love with that person too. Denver Airport Limo can also provide services for you on your wedding day and your prom night to make these events even more special for you.